First Aid is something that's always been in my life. I was familiar with bandages and the recovery position well before I was 7. I progressed through Brownie to Girl Guide First Aid badges to week long courses and I've spent most of my adult life as a designated First Aider. Having some basic first aid knowledge and being in the right place at the right time can and does save lives. 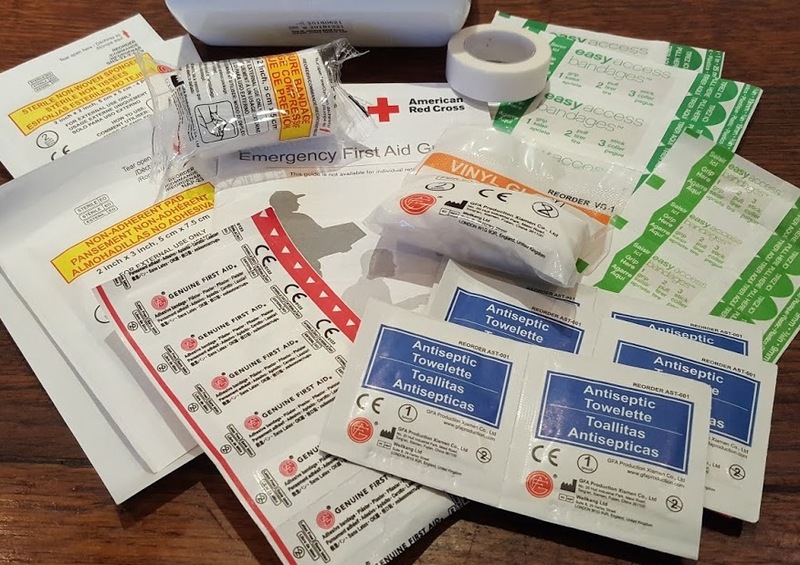 Lots of First Aid involves simply knowing what is the right thing to do or not do, but a First Aid Kit is also an essential for every home, and a massive bonus to have when you are out and about. SJ Works is the brainchild of Joan, who lives in Copenhagen. 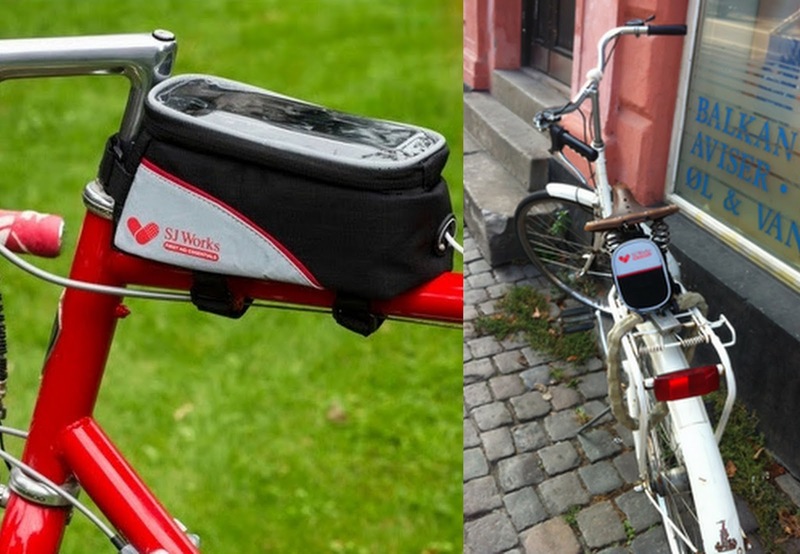 She makes First Aid Kits which attach to your bike, so you have everything to hand should you need it. 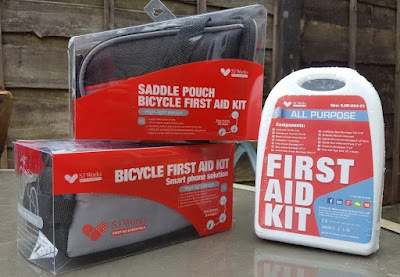 I think they're selling themselves short, instantly we realised their Bicycle First Aid Kit with smartphone window can also work very well on a pushchair. We've been sent 3 different SJ-Works First Aid Kits to review. 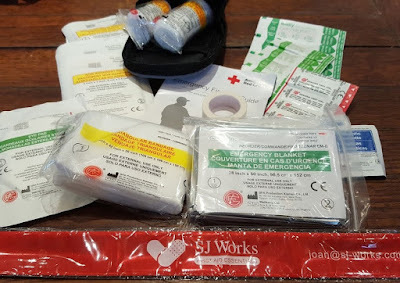 Contents of all 3 First Aid Kits are similar, with extras in the larger kits. 5pcs Adhesive Spot Bandage 7/8"x7/8"
2pcs Sterile Non-Adherent Pads 2"x3"
1pcs First Aid Tape Roll 1/2"x10yds. 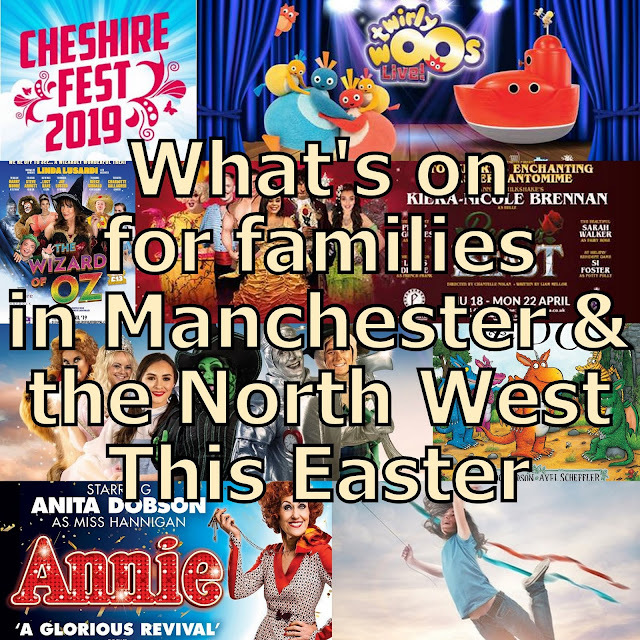 Antiseptic wipes and a sticking plaster or a dressing taped over the wound must make up 96% of injuries on a day out with children. It's a good general kit and on offer price it's fabulous value. 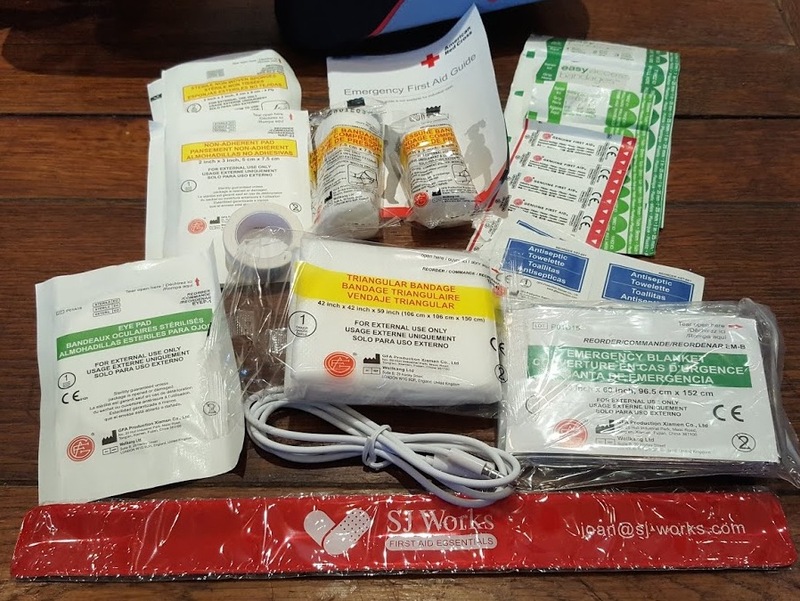 Never under-estimate the value of carrying a First Aid Guide. It is your back up when you doubt you are doing the right thing and your help when you have no idea what the right thing might be. 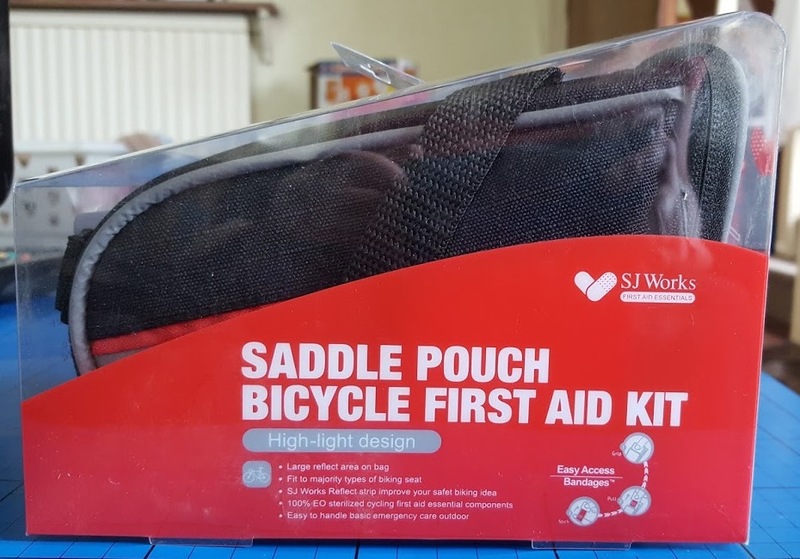 The Saddle Pouch Bicycle First Aid Kit (rrp £40, currently £29) is specially shaped to sit neatly under the bike saddle, securely fastened using clipped straps and an adjustable velcro-style strap. It is a really nicely made bag which definitely seems waterproof under the tap, and it's well padded with plenty of reflective material. The straps have around 5cm adjustment each to fit different bikes. The third, and I'd imagine most popular kit from SJ Works is the Bicycle First Aid Kit smartphone solution. This is easily my favourite and I can see it being useful to a lot of people, not only cyclists. This is really simple, but very clever. A transparent waterproof pocket holds your phone and there's a headphone socket at the end, so you can listen to the radio or music while you cycle, whatever the weather. 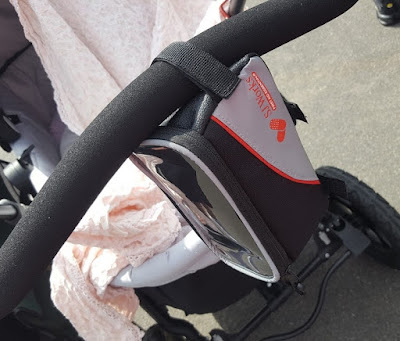 And as previously mentioned, my friend was very keen to find out the name of the company once we'd tried it on her pushchair. 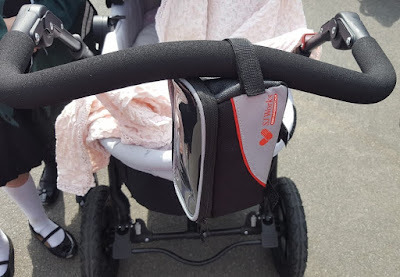 I know I didn't generally want a big handbag on a trip to the park, I wanted something to hold my keys and phone, and they get lost at the bottom of a changing bag. Taking a First Aid Kit with you too is bound to come in useful with older children. 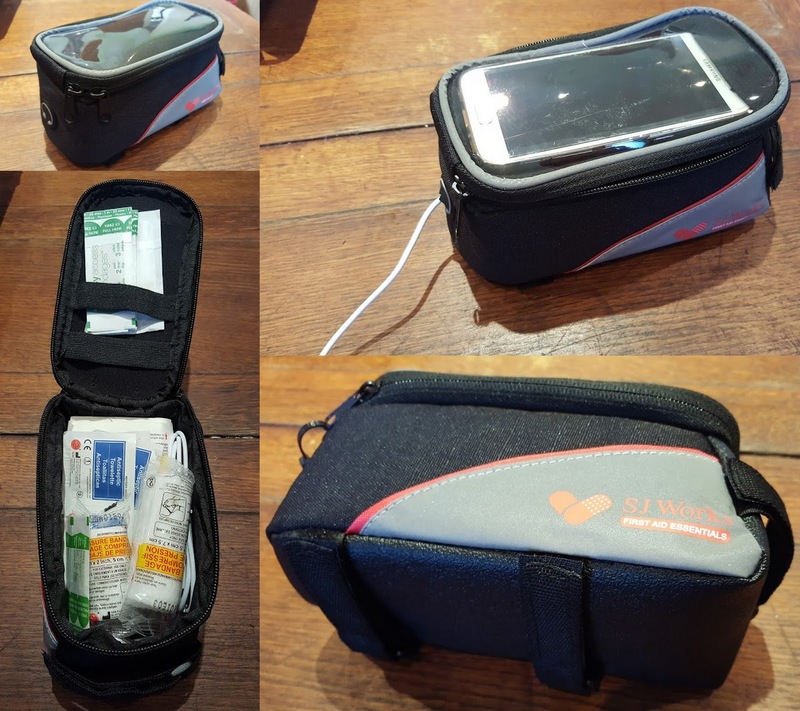 The contents of the Bicycle First Aid Kit smartphone solution (rrp £40, currrently £29) are the same as the Saddle Pouch First Aid Kit, plus a 3.5mm Headphone Extention Cord M/F for your smartphone and headphones. The bags are really nicely made and I'd trust them to survive a fair amount of lashing rain without leaking. Really well-padded and reflective on all sides, which is always a bonus. 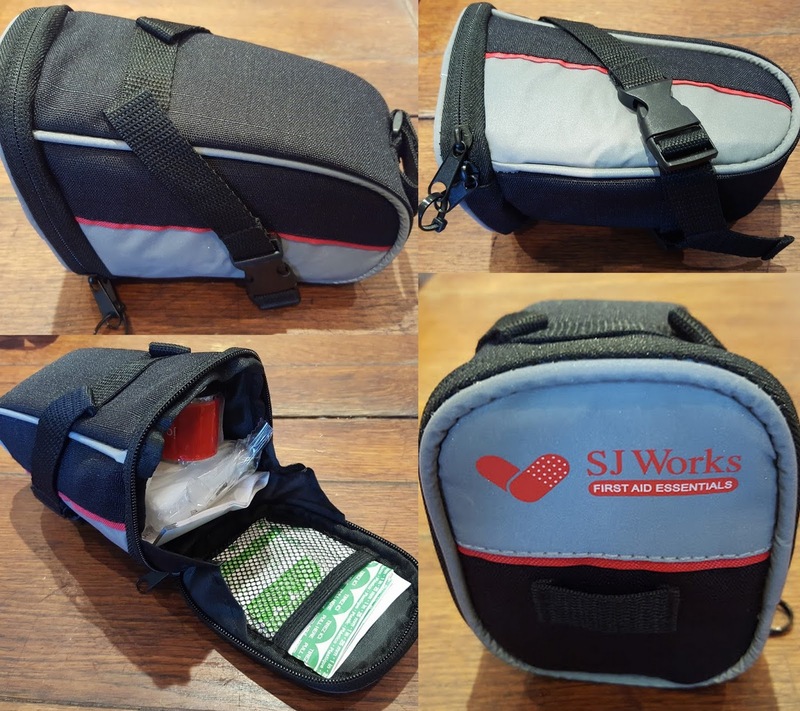 The number of items inside is brilliant for the size and weight, and there is still room for your keys and cashcard. Valuewise I think these are good, they look nice and they do the job. You can add bits you might need - burn gel for example if you'll be cooking over gas or roasting marshmallows while you are out. The plasters are a bit small, but I've found that before with kits. Any first aid kit should be a constantly flowing thing, kept up to date and restocked when needed. 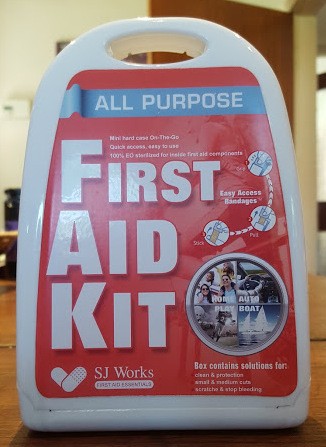 You can buy all of the different SJ Works First Aid Kits on Amazon with prime delivery. 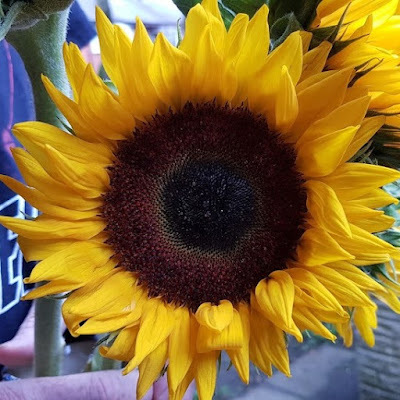 Find out more about Joan and her products on the SJ Works website. 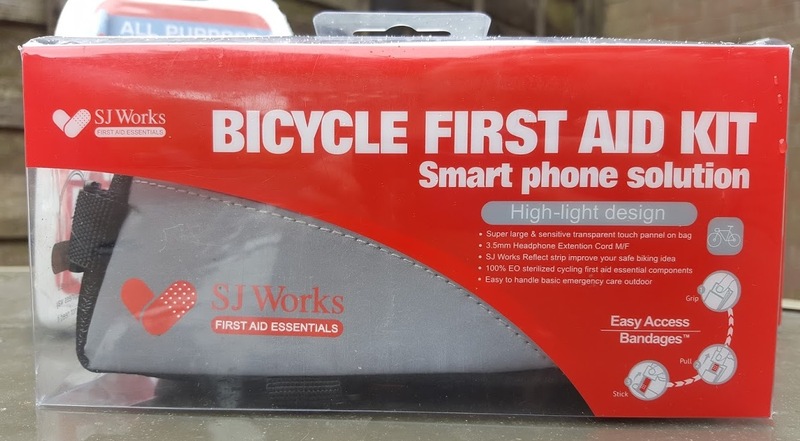 I really like the SJ Works Bicycle First Aid Kit Smartphone Solution, so I'm delighted to have two to give away, one each to two winners. Entry to the giveaway is by Gleam form below. 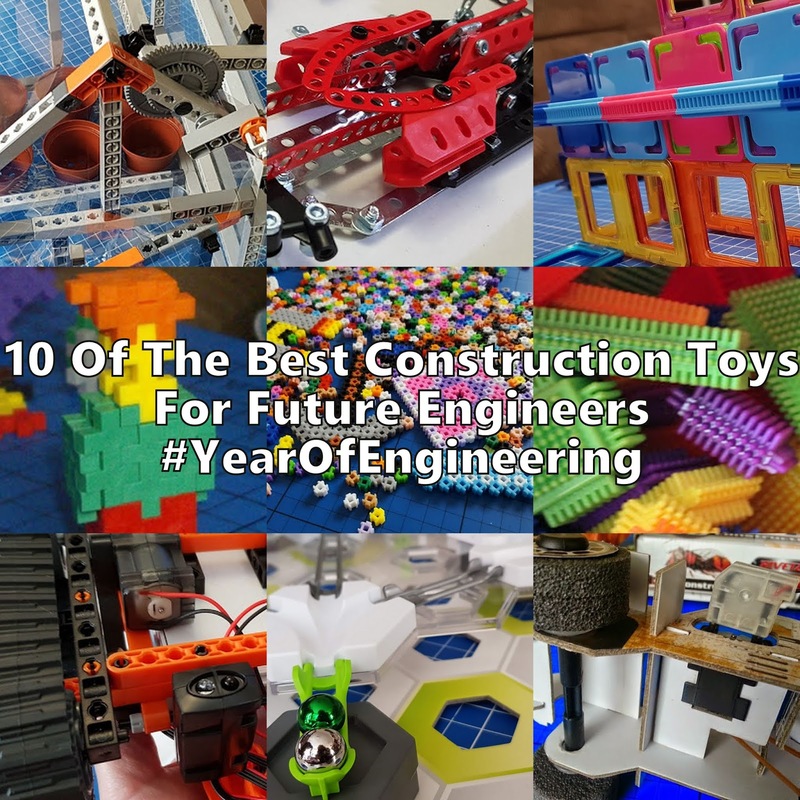 Open to UK entrants only, the giveaway will end at midnight on Sunday 13th August. Full terms and conditions are at the bottom of the Gleam form. 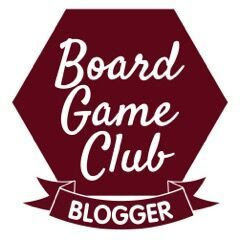 For help with Gleam, and to see my other giveaways, please go to my giveaways page. Anticeptic wipe for cleaning wounds. Small, medium and large sterile gauze dressings for any cuts or scrapes. Antiseptic wipes, used for cleansing wounds. Triangular bandage to make a sling. Antiseptic wipes, they would beused for cleaning wounds. My husband is always out on his cycle and I worry about bumps and scrapes. This is just the ticket to sort out his boo boos! Antiseptic for cleaning any wounds and to prevent infection. Antiseptic wipes and bandages are always a must in my house! Butterfly wound closures for pulling together the many gashes & lacerations my son & his daughter (my granddaughter) always seem to need. I have never known a child who is so like her Dad for having random accidents. Plasters for thos etimes you fall off your bike! Plasters for cuts and grazes when you come a cropper off your bike. Antiseptic cream for cuts & grazes! Antiseptic Towelettes for on the spot cleaning of grazes and cuts. Elastoplasts / plasters, maybe in a variety of sizes and shapes :- For cuts and grazes. 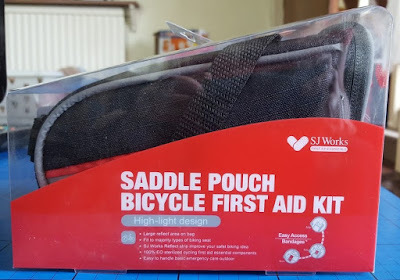 Plasters for cuts - went on a group bike ride a few months back and 2 of the kids fell off - realised that I really need a good first aid kit - luckily a friend was prepared ! Sterile water for cleaning out a cut. antiseptic spray is always good. Plasters for all the times I seem to trip over and walk into things! plasters! which are always handy when out with kids! THis blogpost caught my eye as my son has broken his wrist twice within 6 months by falling off his bike - so i think this is such a fab innovative idea! 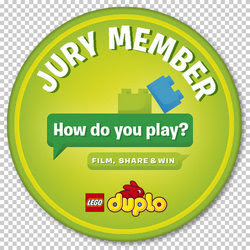 Plasters for keeping small cuts and grazes clean! Plasters for cuts and grazes is the first thing that comes to mind for me. Thanks for this useful giveaway. Antiseptic Towelettes for cleaning up a cut. 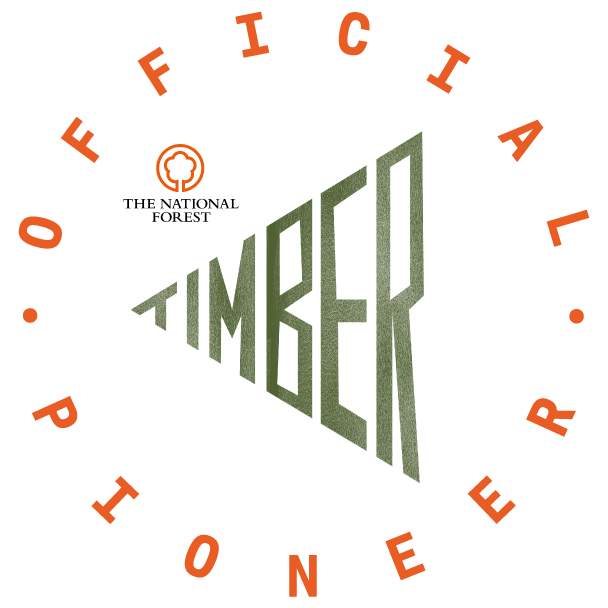 I would expect to find a triangular bandage. Plasters for small cuts and grazes. Antiseptic wipes, perfect for cuts and grazes. Easy to use and hygienic. Antiseptic wipes and plasters. I also like the wound closing strips. My teen boys go out on their bikes every day and so far this holiday they keep coming back with one or other of them having fallen off and got a new scrape! I would love them to have a kit like this with them for all their bike tumbles! plasters for cuts and grazes when falling off my bike! Antiseptic wipes, for cleaning scrapes and cuts. just started riding again, a little rusty, this sounds perfect! Antiseptic wipes to clean hands and avoid infection on cuts. Plasters for every little thing - they seem to be the best medicine where my daughter is concerned. Plasters for putting on cuts.